Sometimes you find the most interesting things when you aren’t looking for them. Case in point: I am in Tuscany, enjoying the Tuscan sun, when I get an email from my sister asking me to pick her up some of her favourite face cream. It’s called Crema Viso Idratante Elisir D'Olivo from Erbario Toscano. Seems a friend had given her a jar for Christmas and now she wants more and since I’m in Italy…. I’m always happy to help a sister, so I put the Crema Viso Idratante Elisir D'Olivo on my list of things to buy when I’m in Florence. Then, by chance, I came across an Erbario Toscano store in San Gimignano. What was meant to be a grab-and-go turned into an hour of smelling, sampling and lingering over their gorgeous soaps, diffusers, creams, and fragrances. 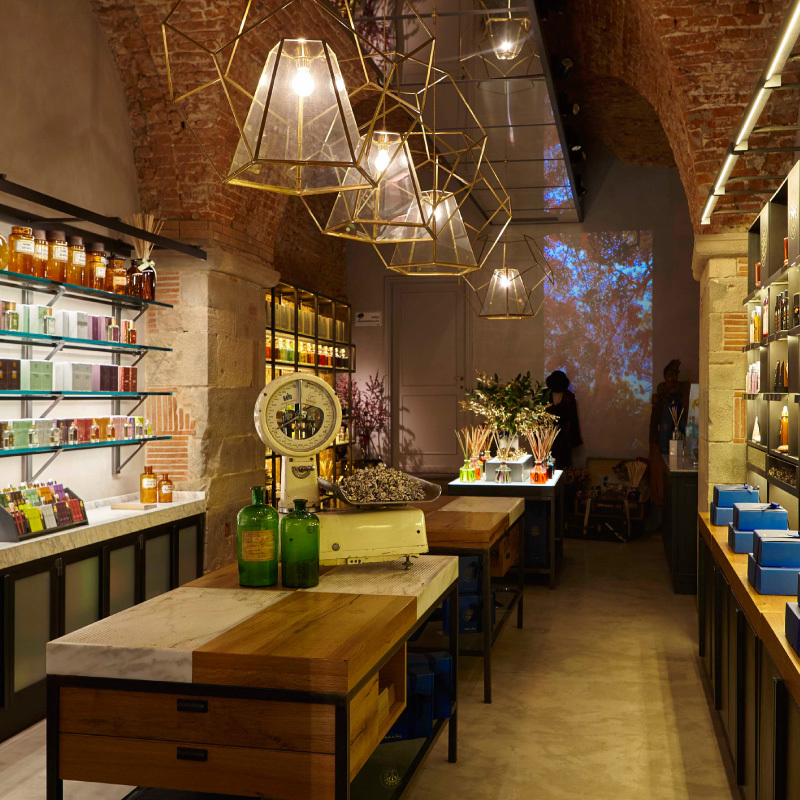 From the brochures in the shop, I learned that their products are handcrafted, made with traditional Tuscan ingredients and that their perfumes are 100% natural. I came away with the Crema, some soaps and my husband bought a bottle of Cuore di Pepe Nero. I stuffed the Erbario Toscano bag into my purse and off we went. When we when got back to the hotel, we had a couple of questions for the concierge. Standing before him at the front desk, he noticed the Erbario Toscano bag peeking out of my purse and said “I see you are a true Tuscan!” I gave him a puzzled look. In perfect English, he said, “The Erbario Toscano.” “Oh,” I said, “Just some souvenirs of Tuscany to take home.” “These products aren’t just for tourists,” he said. “My wife uses their body creams. Have you tried their perfumes? Their Cuore di Pepe Nero is a special favourite. 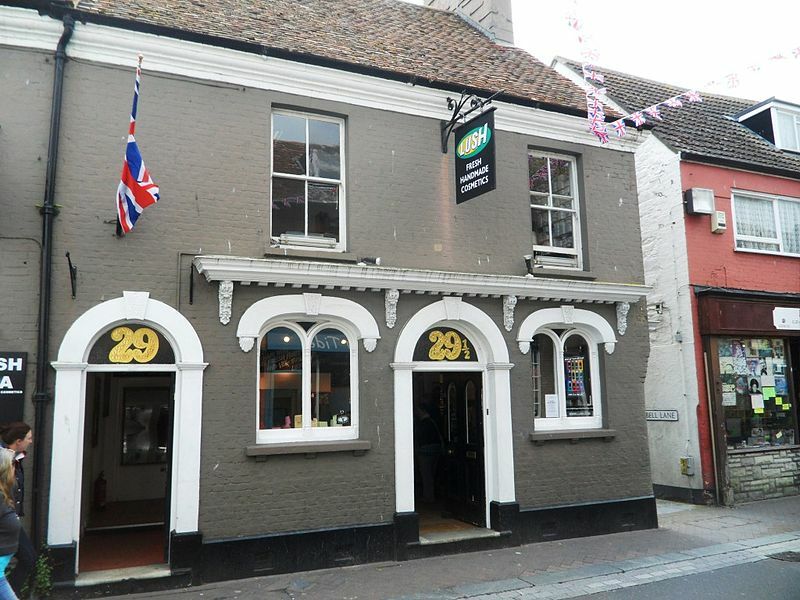 A cult favourite among cognoscenti as you say in English.” My husband flushed with pride. “Look at me, I’m part of the cognoscenti,” he said when we were alone in the elevator. The next morning, I tried the Cuore di Pepe Nero. Yes, it’s listed as man’s fragrance, but if my husband hadn’t bought a bottle of it, I would have bought one for myself. Cuore di Pepe Nero opens with fresh, vibrant notes of lemon and grapefruit. It feels invigorating. The citrus is soon joined by rose hips, which add a floral fruitiness to top. It’s not long before black pepper seeps in, spicing everything up with a voluptuous warmth. As it blooms, sweet, indolic, jasmine makes an appearance, stirring memories, real or imagined, of foreign lands. Magnolia echoes the lemon at the opening, while adding a lushness. Cedarwood gives Cuore di Pepe Nero a gorgeous woody spine for the flowers to rest on. And then there’s the black pepper, strong and spicy, it radiates through the fragrance. Combined with the woodiness of the cedar, it could drag the whole works into darkness, but the lemon/floral presence keeps it on the bright side while the pepper to provides a hum of sensual, spicy warmth. At the base, the woodiness is carried over by patchouli, vetiver and oakmoss, while amber sweetens it just so. But that spiciness? It lingers on the skin through to the drydown. One of the things I like most about Cuore di Pepe Nero is how it isn’t over processed and with the notes smoothed out beyond recognition. It smells real, and really, really good. I’m pretty pleased with my Tuscan purchases. I know my sister will be happy to have the Crema Viso Idratante Elisir D'Olivo. Well, at least until she smells the Cuore di Pepe Nero and realizes she wants that too. Cuore di Pepe Nero is listed in our Decant Store. Decants are $5.00 for 1 ml. My son is a man of few words, so when he says he likes a fragrance I’m wearing, I really pay attention. I was wearing Smuggler’s Soul by Gorilla Perfume. I came off the subway into the Eaton Centre in downtown Toronto the other afternoon, walked past the LUSH store and immediately did a U-turn right into the store. It was packed with customers and I wanted to see what was going on. Turns out it was just business-as-usual, customers stocking up on bath, skin, and hair care items to get ready for the big Spring reveal (which BTW, according to today’s attempted snowfall is still just a figment of our imaginations)…so I headed directly to the perfume testers, and spritzed a couple of fragrances: Smuggler’s Soul and All Good Things. Then I left before the inimitable LUSH bath-bomb waft began to cloud my thinking. Every perfume lover knows that it’s impossible to judge a fragrance from the first few minutes on your skin, and this is especially true of the Gorilla line. 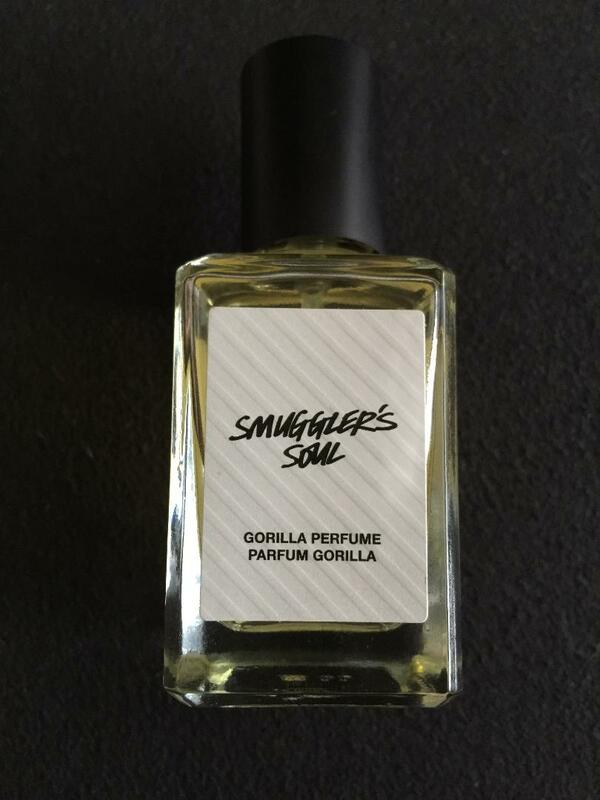 Original, sometimes weird, but always interesting, in addition to being excellent quality for the money, Gorilla perfumes are the creation of the father-and-son team of Michael and Simon Constantine, both self-taught perfumers who also own LUSH. Gorilla fragrances are hand-blended in-house by LUSH and are composed mostly of high quality natural essential oils and distillations which they personally source directly from global producers. “We are an antidote to boring mass-market scents and a movement to get people excited about good quality perfume.” If you don’t know about LUSH, check out the UK website. Natural fragrances tend to react differently with skin chemistry, so I knew I had about an hour to shop before I got into some serious wrist-sniffing to decide which one pushed all the right scent triggers for me. Smuggler’s Soul was the winner. This is sandalwood, sandalwood and green vetiver, which makes this fragrance different and original right out of the box, since the sandalwood note is most often matched with dark or rich notes such as vanilla, patchouli, amber or musk. The Gorilla creative team love sandalwood, they’ve travelled around the world to find sustainable sources, and have written a story about their experiences in their graphic novel named On the trail of the Sandalwood Smugglers. 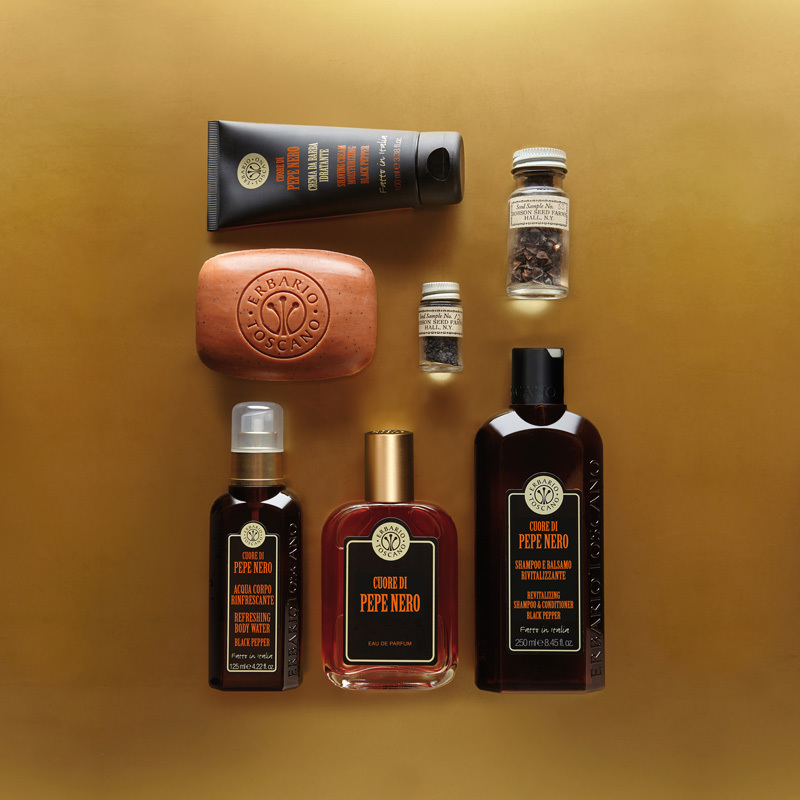 "Sandalwood is a beautiful oil which has been used for centuries, it is an oil we love and we are very excited to be able to tell its complex and amazing story." Hence the name Smuggler’s Soul for their sandalwood fragrance. Smuggler’s Soul uses two types of sandalwood – Rosewood oil (Aniba Rosaeodoro) and Sandalwood (Santalum Austro-Caledonicum Vieill). The first few moments are strong, vibrant with resinous oils layered one on top of the other - lemongrass and green vetiver and the two sandalwoods, forming an accord that smells soapy and oily from the mix of resins but oddly dry, like dry body oil. It’s fresh and green and very alive. After five minutes, Smuggler’s Soul has a classic masculine vibe which begins to lighten as the lemon note becomes juicier and sweeter and the sandalwood note warms up, releasing woody aromas like the scent of fine sawdust in a wood-working studio. Tagetes (marigold) oil with its waxy quality and faint smoky almost boozy undertones, is layered into the mix, which is the lead-in for a long and wonderful dry-down. After thirty minutes, Smuggler’s Soul is humming, radiating warmth and good feeling. The waxy marigold note transforms into a feminine powdery vintage lipstick note, a la Frederic Malle’s Lipstick Rose minus the rose, harmonizing perfectly with the sweetened lemongrass and vetiver accord, yin and yang. An hour in, the sandalwood accord moves into the spotlight and stays there for hours, its distinctive creamy powdery woody character offering hints of spice and sweet, and calming balsams. The mind’s eye can see the beautiful wood grain polished to satiny perfection, smooth as silk and warm to the touch. Smuggler’s Soul is unisex, an extremely well-made fragrance with excellent staying power and a well-calibrated waft, and for sandalwood lovers, this unique fragrance featuring their favourite note paired with green vetiver is an experience they shouldn’t miss. There’s nothing else like it. So there you have it, my son and Luca Turin came to the same conclusion about Smuggler’s Soul, sort of...who wouldda thought….? Smuggler’s Soul is listed in our Decant Store. Decants are $5.00 for 1 ml. "She smelled the way the Taj Mahal looks by moonlight." We are Gwen and Kay, two perfumistas making our scent journey in the cool, clear North. We are also BFFs - we hang out together a lot, travel together - so we try, buy and share fragrances. What started out as a shared interest grew into a hobby, and has now become our obsession. We’ve spent many evenings with a glass of prosecco, a little cool jazz playing in the background, spritzing, sniffing - “How does this smell on you?” and, sadly, sometimes scrubbing. We’ve tested and tried hundreds of samples over the years, and when we deemed a fragrance ”full bottle worthy” (FBW), one of us has tracked it down and bought it. We now own a lot of really great perfumes, and we continue to buy bottles of what we think is the best of "niche" as new scents are launched. Also, we include many perfume "classics" that are the foundations of modern perfumery - like Shalimar, Chanel No.5, Eau Sauvage - plus other perfume "gems" that have been discontinued, or were ahead of their time when launched but now fit perfectly in the Niche category. With so many exciting discoveries, we can’t help but talk about our passion with other friends. Wherever we go, people ask “What is that perfume you’re wearing? Where can I get that?” So we end up sharing a bit of our “juice” with friends. But the circle has grown, so we've started this website to let others buy and try samples from our collections and experience the fragrant beauty we write about. We blog once a week and post a story about a scent from our collections, and add it to our Decant Store. We're not scent critics, so these aren't negative reviews. We love all our fragrances - that’s why we bought them! But we describe how we think they smell, and share our stories about why we love them - maybe you’ll rediscover an old flame, or fall in love with a new scent. Or we post conversations about whatever has grabbed our attention recently. Or we write about a specific perfume note, and offer a Decant Pack, which allows you to explore new territory by trying 3 or 4 fragrances in a special pack at a special discount price. We sell 1 ml. decants - .7 ml volume once you allow for the stopper in the vial - filled from our own bottles in our collection because the only way to experience a fragrance is to try it on your own skin. We take the fragrance from its original bottle and decant it into a smaller brand-new, 1 ml sterilized glass vials so that you can try it on your skin to see if you like it. Through our Decant Store you'll have access to some of the world’s greatest niche scents, hard-to-find fragrances, and classic favourites. When you click on the Decant Store tab you’ll find our personal descriptions of each of the fragrances we currently offer from our collection, then you can add them to your Shopping Cart. We don’t sell full bottles of any fragrance - just .7ml decants. We only sell decants from the perfumes we've bought.... because we love them. We don't re-sell manufacturers samples. We don’t represent any perfumers or distributors, so we don’t have every scent from a whole line of perfume. We aren’t being paid to promote any product or scent. If, after sampling a fragrance, you decide that you must have it, i.e. it is FBW (full bottle worthy), and you can’t find it, e-mail us and we will direct you to the best source we know – retail store or online source. A place for you to learn about scent, and to share your fragrance experience with others. Click on the section called Resources, under My Perfume Notes (see top right), where you'll find a Glossary, and fragrance FAQs. You'll also find two great tools we've created - Handmaps and My Sample Perfume Notes - so you can keep track of, and record your own scent experiences. We hope you enjoy perfumeniche.com, and visit us often. Leave your preconceptions behind, look around, see what’s on offer, read the Blog, share your experiences and discoveries, and join the circle.